The US Trade Representative's office needs to unveil the list of products by Friday. Washington: The Trump administration this week will unveil the list of Chinese imports targeted for U.S. tariffs to punish Beijing over technology transfer policies, a move expected to intensify trade tensions between the world's two largest economies. The list of $50 billion to $60 billion worth of annual imports is expected to target "largely high-technology" products and it may be more than two months before tariffs take effect, administration officials have said. 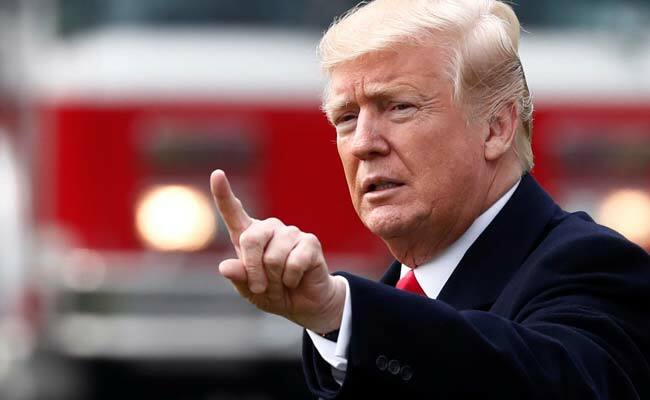 The U.S. Trade Representative's office needs to unveil the list of products by Friday under President Donald Trump's China tariff proclamation signed on March 22. The tariffs are aimed at forcing changes to Chinese government policies that USTR says results in the "uneconomic" transfer of U.S. intellectual property to Chinese companies. The agency's "Section 301" investigation authorizing the tariffs alleges China has systematically sought to misappropriate U.S. intellectual property through joint venture requirements, unfair technology licensing rules, purchases of U.S. technology firms with state funding and outright theft. U.S. technology industry officials said they expected the Trump administration's list to target products that benefit from Beijing's "Made in China 2025" program, which aims to upgrade the country's domestic manufacturing base with more advanced products. "Foreign technology acquisition through various means remains a prime focus under Made in China 2025 because China is still catching up in many of the areas prioritized for development," USTR said in its report justifying the tariffs. U.S. Trade Representative Robert Lighthizer has said that preserving America's technological edge is "the future of the U.S. economy." "The administration is following the Japan model from the 1980s," said a tech industry executive. "They'll publish a Federal Register notice of tariffs on certain products, then try to reach a negotiated settlement over the next 60 days. "During his first stint at USTR in the Reagan administration, Lighthizer employed similar tactics to win voluntary Japanese export restraints on steel and autos. Wendy Cutler, a former deputy USTR in charge of Asia negotiations, said that addressing the sweeping intellectual property allegations identified by USTR would require major changes to China's industrial policy. A 60-day settlement may not be realistic in that case. "I think they've set up a high bar for what they need to achieve, in order not to impose these types of tariffs and investment restrictions," Cutler said.